I decided to put together this review on the best cameras for beginners after receiving so many emails from Shotkit fans. 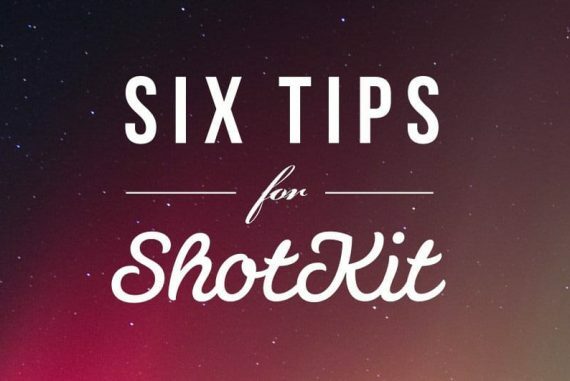 Although Shotkit is focused more to the professional photographer, it seems that more and more visitors come to the site looking to learn photography. Writing about the best camera for beginners in photography is important to me, since I was in the same place as you are now a few years ago. Everyone has to start somewhere, and with photography, you’ll need a suitable camera to help you learn the basics. I’d like to help you choose the best camera for learning photography to make sure you get off to a head start with your newfound hobby. Let’s look first at the 3 main criteria I chose for making this list. As a beginner buying a camera, the price will be a primary concern. Not spending too much is obviously the goal, but investing sufficient money into a camera that allows you to learn and grow is ideal. Diving headfirst into the Manual (M) setting on a camera as a beginner learning photography can be daunting. However, it’s essential that your first camera has the M setting. Whilst point-and-shoots and compact cameras have their place, it’s much better to get a camera that supports interchangeable lenses when learning photography. Learning about lenses goes hand in hand with learning about cameras. It’s easy to get caught up in all the confusing features and terminology when researching cameras. 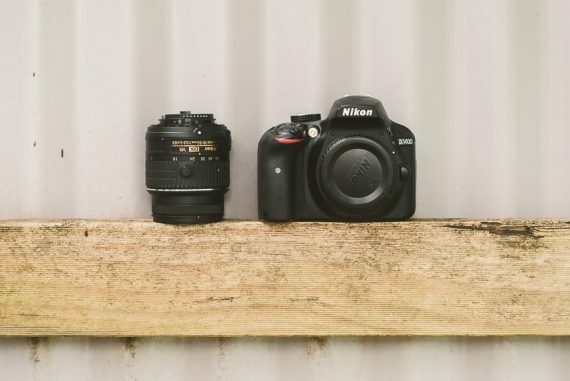 Megapixels, sensor size, frame rate, AF speed, ISO performance… there are so many factors people try and consider when choosing a beginner camera. To save your time, I’ve selected 4 great cameras below that meet my 3 main criteria, and also surpass prerequisite performance in all the other main areas too. 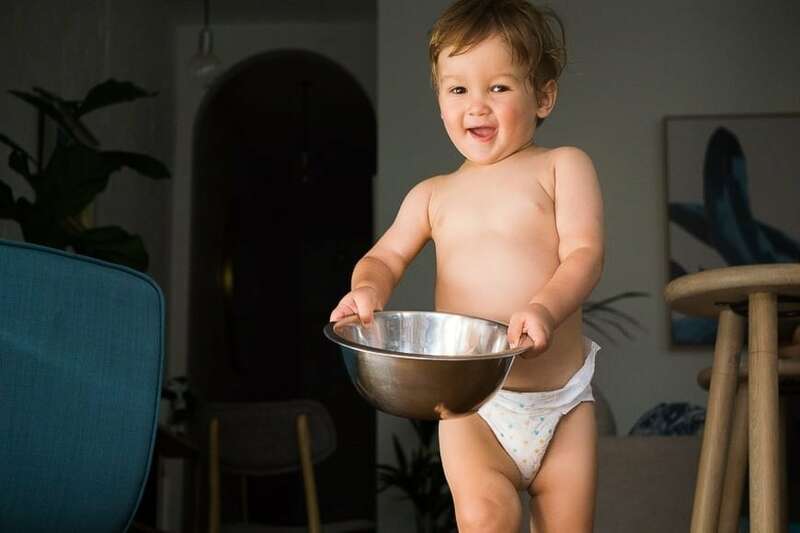 Thankfully, cameras in 2019 offer so much amazing technology for your money. Any minor differences in megapixels, frame rate or whatever else are insignificant, and shouldn’t influence your purchasing decision. One factor that is important is how the camera feels in your hands. If it’s hard to find all the cameras mentioned below in your local store, I’d recommend ordering a camera from Amazon just to see how it feels. As long as you’re careful and keep the packaging intact, you can always return it within 30 days for a full refund. See the returns process here. 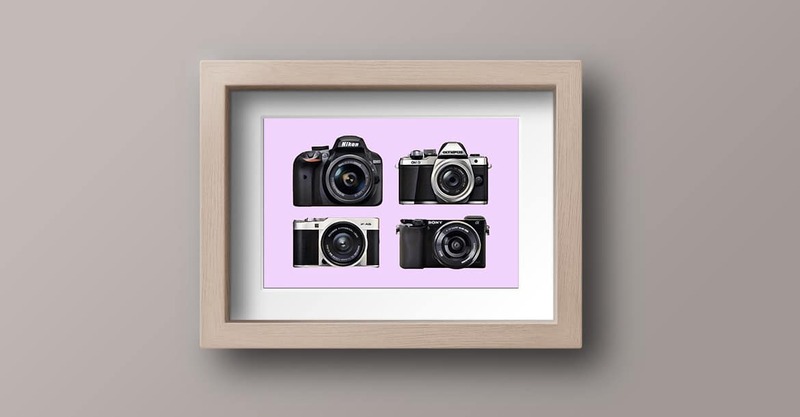 At this point in 2019, ‘DSLR’ cameras are still a very popular choice for beginners. Their main advantages over ‘mirrorless’ cameras is affordability, battery life and ergonomics. Whilst I’d usually recommend mirrorless cameras to beginners who wish to learn photography, due to budget restrictions, it’s not always possible. Around the $500 mark, it’s hard to beat a beginner DSLR camera. So if you’re looking for the best DSLR camera for beginners, look no further – the Nikon D3400 with 18-55mm lens is it. After spending a month shooting with it last year, I felt compelled to write a full review on the Nikon D3400 – it impressed me that much! Most notably, I was surprised how great the image quality was from such a budget priced camera. As for the brand of the camera, there’s always going to be a battle between Nikon and Canon. However, at this price point, the question of the which is best DSLR camera for beginners: Canon or Nikon, is answered simply – the Nikon D3400 beats the closest Canon rival (the Canon T6) in every regard. As a beginner, it’s confusing enough trying to choose the best camera to learn photography, let alone the best lens. While I do recommend investing in different lenses later down the line, your best bet when just starting out with photography is to stick with the ‘kit-lens’. This Nikon D3400 comes bundled with an 18-55mm kit lens, which offers a good range from ‘wide-angle’ to ‘telephoto’ field of view. This means you’ll be able to shoot landscapes (or groups of people), as well as flattering portraits or things at a distance. Aside from offering excellent image quality and a versatile kit lens, the Nikon D3400 is the smallest and lightest DSLR you’ll come across. As a photography beginner, you should be taking your camera with you wherever you go, and unless it’s small and light, it’ll quickly become a burden. The D3400 is a joy to hold or carry, and the button/dial placement is logically and comfortably arranged for any size hand – I’m 6ft 4″ with giant hands and found it fine to use, as did my wife who has much smaller hands than me! 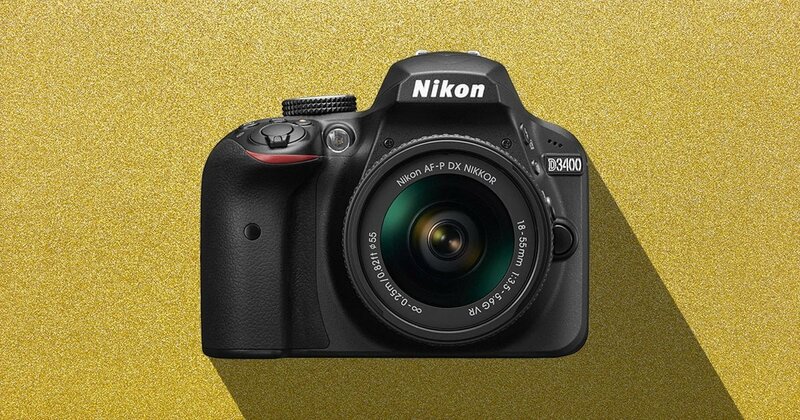 What makes the Nikon D3400 stand out the most as a camera for beginners is the inclusion of both manual controls and something called ‘Guide Mode‘. Guide Mode helps new photographers create better images with proper exposures. It’s aimed directly at beginner photographers, helping you to take the guesswork out of camera settings and allow you to focus more on getting the shot. If you’re looking for the best DSLR for beginners that is currently available with a lens for under $400 (check latest price here), the Nikon D3400 with 18-55mm lens really is an unbeatable offer. If you can stretch your budget to around $550 (see latest price here), you can get an the excellent Sony a6000 with 16-50mm lens. The Sony a6000 is what’s known as a ‘mirrorless camera’, which brings a huge advantage to beginners in what I call ‘WYSIWIG photography’ (what-you-see-is-what-you-get). 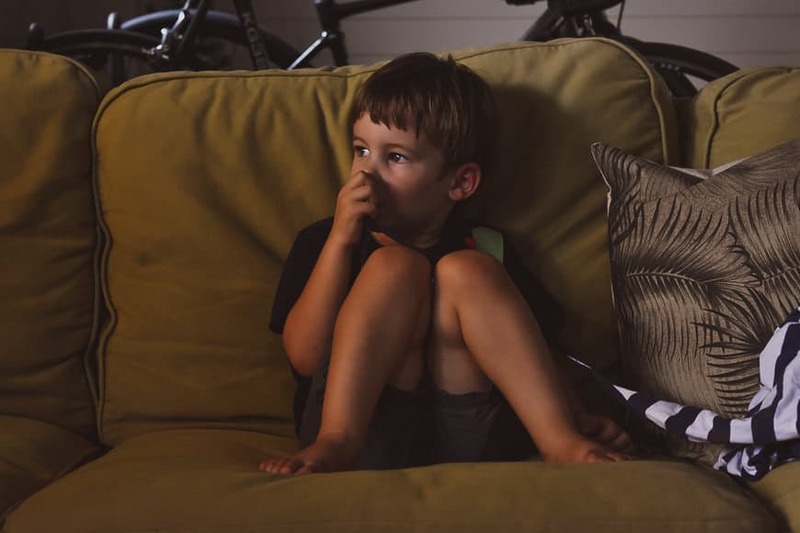 With a DSLR camera, the hole your eye peers through when taking a photo (aka the viewfinder), is basically just like a window – you’re seeing the world as it is in front of you. 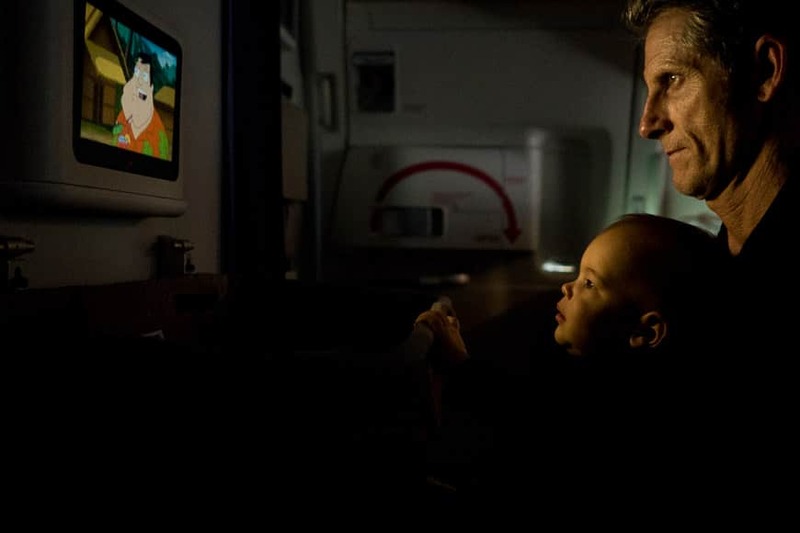 With a mirrorless camera however, you’re looking at a tiny LCD screen, which is showing you a ‘digital projection’ of the world. Here’s the key – any adjustments you make with your camera’s settings show up as exposure adjustments inside that little LCD screen… before you take the shot. As a beginner learning photography, this is an invaluable lesson on how ISO, Aperture and shutter speed can change the way a photo looks… all in real-time. There are lots of great mirrorless camera available in 2019, but unfortunately, most of them are priced outside the budget of beginner photographers. 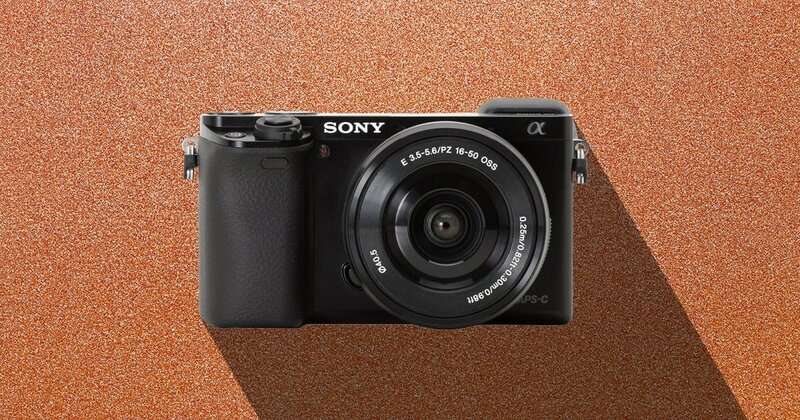 The Sony a6000 however, is the best value for money mirrorless camera, and also happens to be the most popular mirrorless camera ever made. It may be several years old, and newer models continue to be released, but don’t get distracted – this is a great camera, and one of the best cameras for beginners you can buy this year. If you handled a DSLR in your search for a beginner’s camera and found it to be a little too bulky, then the svelte Sony a6000 should be perfect. With the versatile 16-50mm power zoom lens attached, it’s still compact enough to slip into a pocket, and definitely light enough to be carried around all day. The 16-50mm focal length offers great versatility for a beginner, and allows you to see the difference between composing with a wide-angle field-of-view vs a tighter telephoto one. There are so many great Sony lenses to choose from when you start getting more advanced with your photography, but this kit-lens is a good place to start for beginners. Usually I prefer the bulkier ergonomics of a DSLR camera for my professional work, with the more pronounced hand grip and sturdier feel, but I still prefer compact cameras for traveling, or for when I just want something small to slip into my jacket pocket. As I mentioned before, a camera must have a Manual mode to be considered relevant for a beginner to photography. Being able to manually control all the elements of an exposure is an essential learning step, and thankfully, the Sony a6000 supports full manual control – I particularly liked the ability to control aperture and shutter speed using its dials, which are comfortably placed. The area where the Sony a6000 really stands head and shoulders above any DSLR for beginners is in its incredible AutoFocus. With 179 AF points and 11 frames-per-second, you won’t be missing any shots of fast moving action. 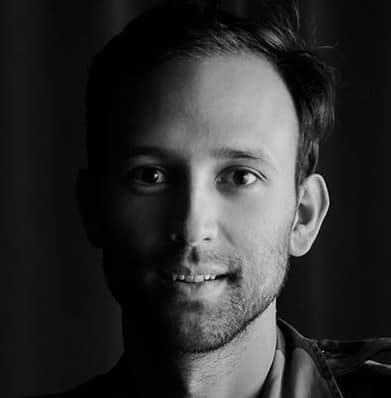 Is it essential to have such lightning-fast AF on a camera for beginners? In my opinion, no. Learning the ‘focus and recompose’ technique is a valuable step, and fast AF isn’t necessary here. However, it is a luxury to have such great AF in a camera at this price, so we’ll take it if it’s there! Other luxuries on the Sony a6000 include 60P full HD recording, WiFi (to share photos) and a tilting LCD display. The tilting display isn’t a prerequisite for a camera for beginners either, but I do like its inclusion here. Being able to tilt your camera’s rear LCD can encourage exploration of more creative compositions, since you’re able to get low and high much easier. Finally, I should also mention that in my review of the Sony a6000, I found it to be a hugely fun camera to shoot with. This is a purely subjective statement, but having a fun camera for a beginner is a great thing, since you’ll want to pick it up to shoot with more and more. I thought long and hard about whether to include this next mirrorless camera in my selection of the best cameras for beginners. You see, while the Fujfilm X-A5 ticks all the right boxes in the beginner photographer category, it lacks one feature that some diehard photographers consider to be somewhat standard on a camera for someone learning photography – a viewfinder! With mirrorless cameras though, you could argue that there’s actually no difference between seeing the world through that small EVF, or just looking at the rear LCD display – both methods show exactly the same digital image. Fujifilm makes excellent cameras, and their Fujifilm X-lenses are some of the best available today. I’m also a big fan of the image quality produced by the unique Fujifilm sensor, and also the fun film-look filters that perfectly replicate old film stock. 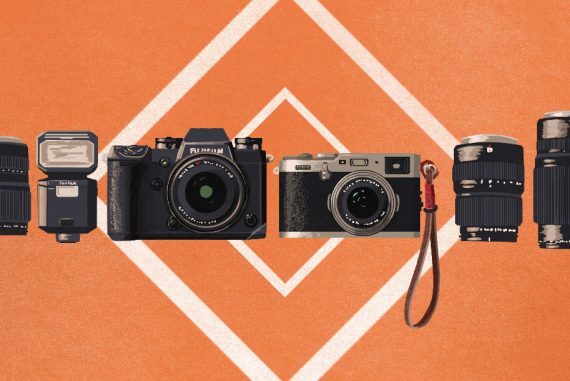 I really wanted to include a camera from Fujifilm in this roundup of the best cameras for beginners, but due to their higher prices, it’s hasn’t been possible… until now! Released earlier this year, the Fujfilm X-A5 with 15-45mm lens now gives beginners a great camera + lens combination for a great price (check latest price here). So with a beginner-friendly price accounted for, how are the Manual settings on this dinky pocket-sized camera? Well, as you can expect from a company that made so many great film cameras back in the day, the Manual settings are all there. One neat features of the X-A5 is the dedicated Exposure Compensation shooting mode, which allows you to adjust exposure using the main dial – it’s kind of a semi-manual mode, which is a good mid-point for when you’re comfortable with both the auto and fully-manual modes. Due to the compact size of the Fujifilm X-A5, the buttons are a little closely packed together for my big fingers, and the second dial placement is a little unusual, but all the main buttons/dials are in easy reach and stick out prominently enough from the camera body to allow for easy operation. The 15-45mm lens that comes with the Fujifilm X-A5 is a ‘power zoom’, much like the aforementioned Sony. This is a first for a Fujfilm X lens, and basically means you get a small, lightweight lens with a versatile field of view. So having fulfilled my 3 main criteria as a great camera for a photography beginner, what else has the Fujifilm X-A5 to offer? Well, since it’s the newest camera in this list, it has some features that the others don’t. The selfie mode on the Fujfilm X-A5 may seem like a gimmick but for some photographers and vloggers its an invaluable feature. 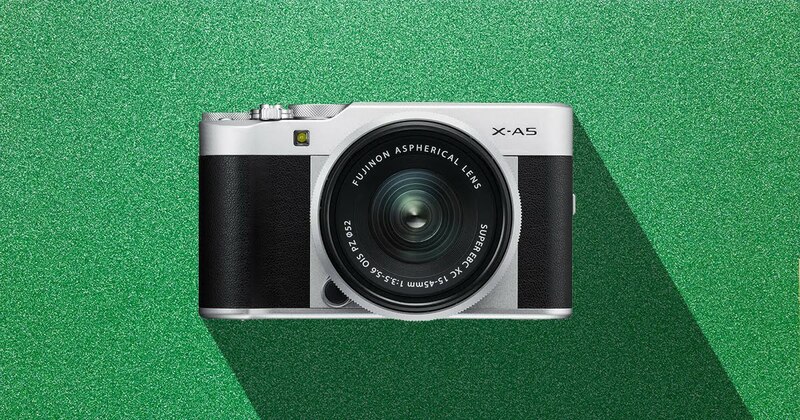 Aside from excellent image quality, 24.2 MegaPixels, Advanced Filters, 4K video, and Bluetooth image sharing technology, the Fujifilm X-A5 is the best camera for selfies in its class, thanks to a touchscreen, 180 degree rotating LCD monitor. The way you can view yourself so easily with the rotating screen also makes the Fujifilm X-A5 the best camera for beginner vloggers. Eye Detection will help to ensure your eyes are always in sharp focus, while the background falls out of focus for a more professional looking video. As I mentioned before, having a fun camera is important for a photography beginner, since it’ll make you want to pick it up and shoot with it more and more. Anything that makes the photography experience more enjoyable for a beginner is a big plus in my book. I should also mention the styling of the Fujifilm X-A5, which will no doubt appeal much more to the younger, or more fashion-centric generation of beginner photographer. With retro aluminum styling and pink, black or brown leather accents, this is going to be one popular camera for beginners in 2019. Remember at the start of this article when I said that there’s little point worrying about factors such as megapixels and sensor size when choosing a camera for a beginner? Well, case in point, the Olympus OM-D E-M10 Mark II with 14-42mm lens – the camera with the longest name… and the smallest sensor! It used to be the case that the fewer the megapixels or the smaller the sensor, the lesser the camera. However here in 2019, this is definitely not the case. With modern sensor technology, the difference in number of megapixels or sensor size at this price point is largely irrelevant. Long story short, the Olympus OM-D E-M10 Mark II has a lot to offer at a great price, making it an ideal camera for a beginner who’s just picking up photography, but still offering enough room to grow far beyond that. Don’t be alarmed that this isn’t the latest model – the Mark III is also a great camera, but in my opinion, the best bang-for-your-buck is to be had with this Mark II version. The Olympus OM-D E-M10 Mark II is a unique form of mirrorless camera called a Micro-Four-Thirds sensor camera (MFT or M4/3). This refers to a sensor that’s small enough to be housed in a compact body, while offering the ability to attach smaller/lighter lenses, without sacrificing image quality. I wrote a whole article on the best micro four thirds lenses, but in a nut shell, all the lenses available to cameras such as this Olympus OM-D E-M10 Mark II are smaller, lighter and cheaper than the equivalent lenses in other camera systems. In other words, when you want to buy another lens for your camera, you should be able to find a smaller/lighter/cheaper version for this Olympus than you would for the Sony, Fujifilm or Nikon mentioned above. Whether this is a major consideration for photography beginners is questionable, since the kit lenses that come with each camera in this article are more than adequate. However, if you see yourself growing quickly with photography and investing in a lot of lenses, this could be something to think about. The Olympus OM-D E-M10 Mark II is a beautifully styled camera. It takes all the best technology from mirrorless cameras, and combines it with the ergonomics of a DSLR camera. There are large buttons and dials all over the body, making sure your first Manual Mode experience in photography is a fun one! It’s also the only camera in this article that offers two separate top-mounted dials to control aperture and shutter speed. This isn’t an essential function by any means, but as a professional reviewing entry-level cameras, I really appreciated this inclusion on the Olympus OM-D E-M10 Mark II – this being the exact set up I have on my pro-grade cameras. Aside from excellent ergonomics and stellar image quality, the Olympus OM-D E-M10 Mark II also offers 5-axis image stabilization, which is unusual for a camera at this price point (see latest price here). This basically allows you to use a slower shutter speed, or lower ISO when shooting handheld in low light like in the photo above. Don’t worry – if those terms confuse you, you’ll discover what I’m referring to when you start to learn photography. Other great, but non-essential features on the Olympus include 8.5fps burst mode (for freezing fast moving action), silent shutter mode (to shoot incognito), Wifi (for image sharing), art filters (for that Instagram look! ), full HD movie mode, and something called ‘touch-to-shoot’. It’s this touch-to-shoot that’s most exciting for me, since it offers such rare functionality for a camera these days – I wish all cameras had it! It means that you can simply touch the rear LCD screen to make the camera focus and shoot instantaneously. While it’s important for a beginner to learn how to focus on subjects using regular AutoFocus, having this touch-to-shoot function is a great short-cut for when you’ve learned the basics and just want to enjoy what the camera has to offer you to make your life as a photographer easier! As I mentioned at the start of this article, getting a feel for each camera is a very important step in choosing the camera that suits you best as a beginner photographer. 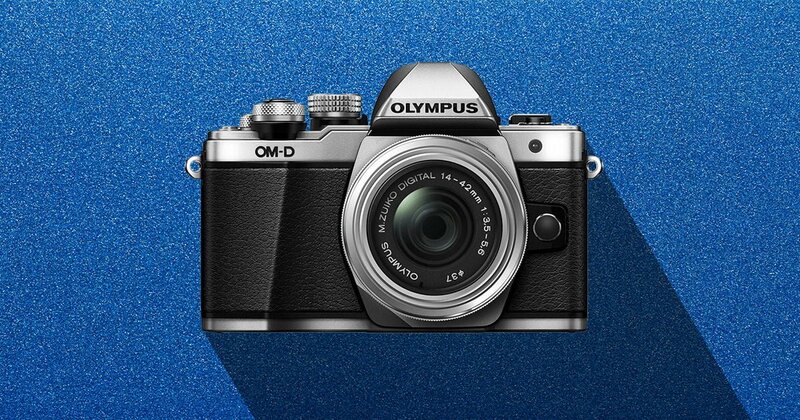 The Olympus OM-D E-M10 Mark II is like a mini DSLR, but with advanced technology of a mirrorless – the best of both worlds in a body akin to a compact camera. I spent a month shooting with its big brother the OM-D E-M5 Mark II (reviewed here), and was impressed by the image quality. The image sensors in both cameras are the same, meaning the more affordable Olympus OM-D E-M10 Mark II represents great value for money. I wouldn’t hesitate to recommend it to anyone learning photography. With this article, I tried to simplify the process of finding the best camera for a beginner in photography to just 4 models. I’m aware that there are other Internet guides on choosing a camera when you’re learning photography that include many more options, but I’ve deliberately tried to simplify things here on Shotkit. Starting out with photography shouldn’t be fraught with numerous buying decisions. Most cameras in 2019 offer very similar features, and having too many options for you to consider can lead to decision fatigue, not to mention an unenjoyable purchasing experience. By whittling the options down to just 4 cameras from 4 trusted brands, I’ve tried to offer you as the beginner an easier way to choose your first camera. If you can, pick up each model and see which one feels best in your hands. As long as you find one that feels good to you, you can rest assured that all the other factors have been taken into consideration, and you’ll be left with the perfect camera to start your photographic journey. Good luck!